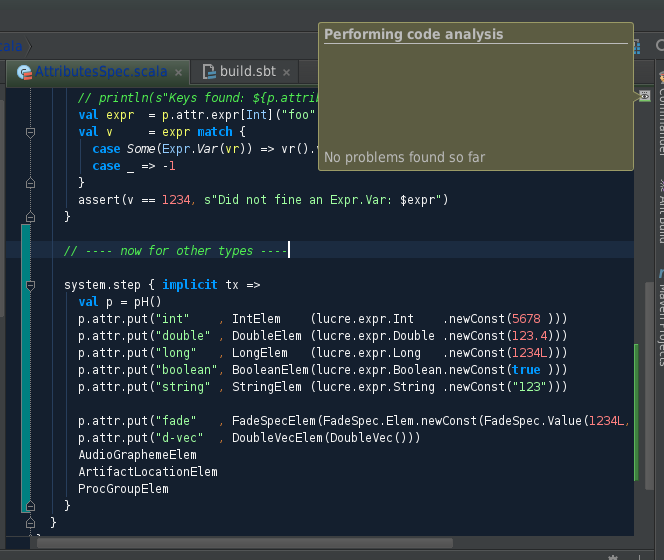 is it possible that the Scala plugin's code analysis has been seriously degraded in one of the frequent recent updates? I am having at least two projects now which bring it completely to halt. There seems to be no pattern, it happens in all sorts of files. The 'eye' in the top right corner just doesn't advance, and the colorisation stays at the 'shallow' level. Sometimes more colorisation is added while I click into random spots of the sources, but it has not fully finished, e.g. 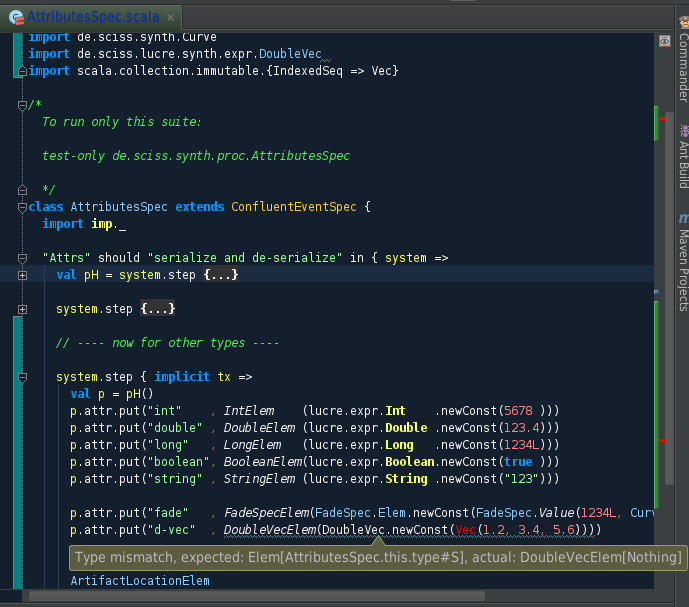 code completion is broken, no suggestions are found for importing symbols, a lot of white space is red underlined. Editing these files is almost as comfortable as in plain ASCII editor, almost nothing works. I already ran cache invalidation, and I also tried to set my project's Scala version back from 2.11.0 to 2.10.4; this doesn't seem to affect the situation. I have attached two screen shots, you can see from the colours that after a random line, the analysis just stops. 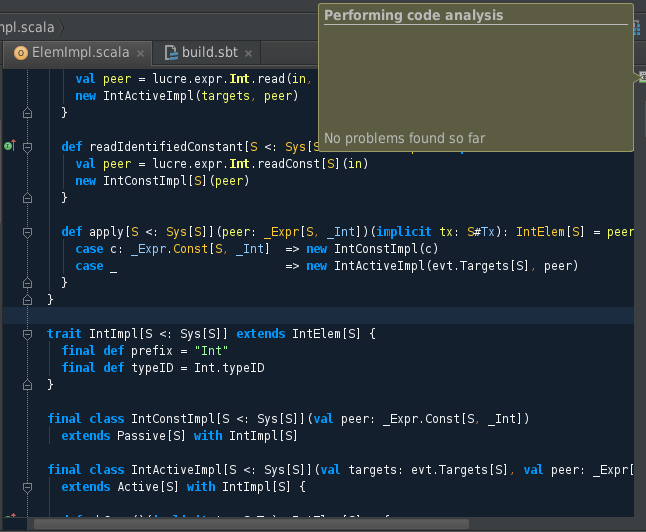 I am using IntelliJ IDEA CE 13.1.2 Build 135.690 with Scala plugin 0.35.683. The fix will be available in next nightly build or next week in next regular update. Thanks Alexander; I'm again on that project and it's stalling; so I tried to install Scala nightly plugin now, and the problem has disappeared so far. Great!